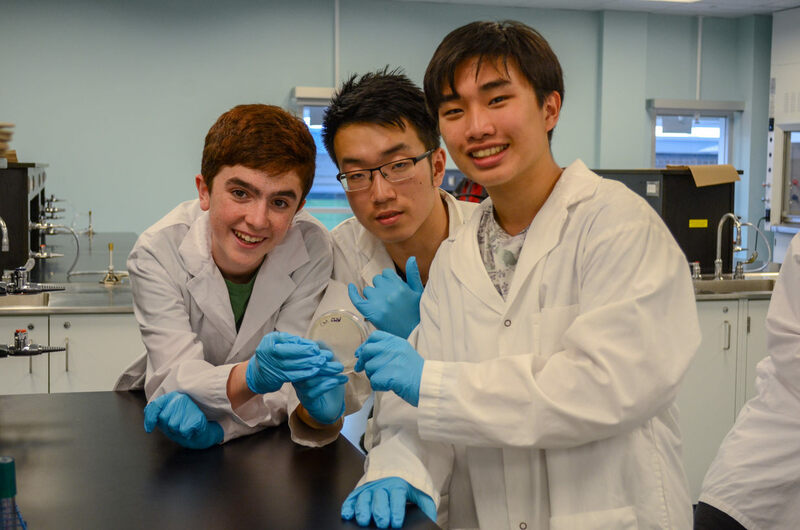 iGEM Waterloo has made passionate efforts in Public Education and Engagement! 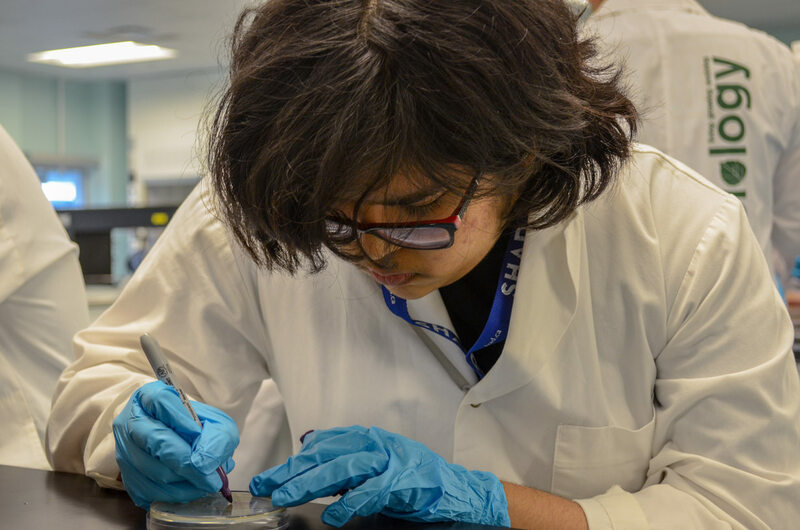 Specifically, we have hosted a hands-on synthetic biology workshop for SHAD high school students, hosted a Literacy Workshop in which we taught students how to read and understand technical papers, and created several videos ranging from general public education to more technical educational videos to promote synthetic biology and provide public education. To learn more, read on! SHAD is a month-long entrepreneurship and enrichment program for high school students. 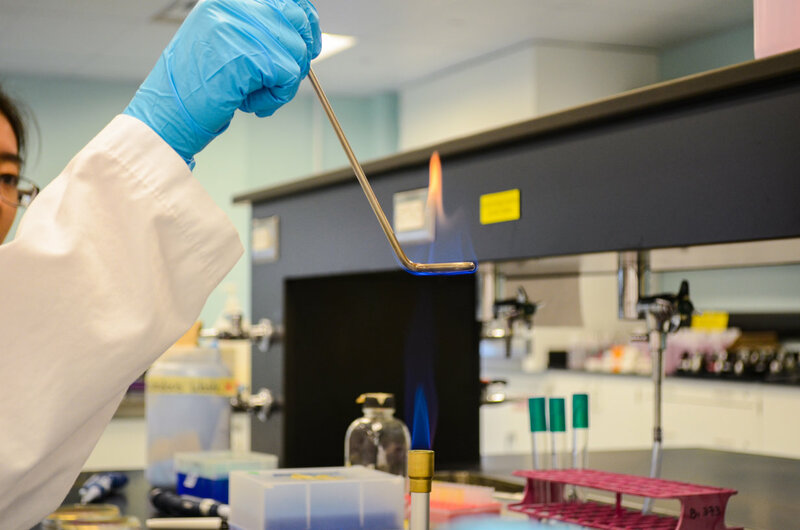 It offers youth between the ages of 15-18 years old the opportunity to visit one of 17 Canadian Universities during the month of July, to learn about various STEAM (Science, Technology, Engineering, Arts, Math) subjects. It allows them to practice various skills as well as gain extraordinary experiences through different workshops every week. For more information on SHAD, please visit their website. 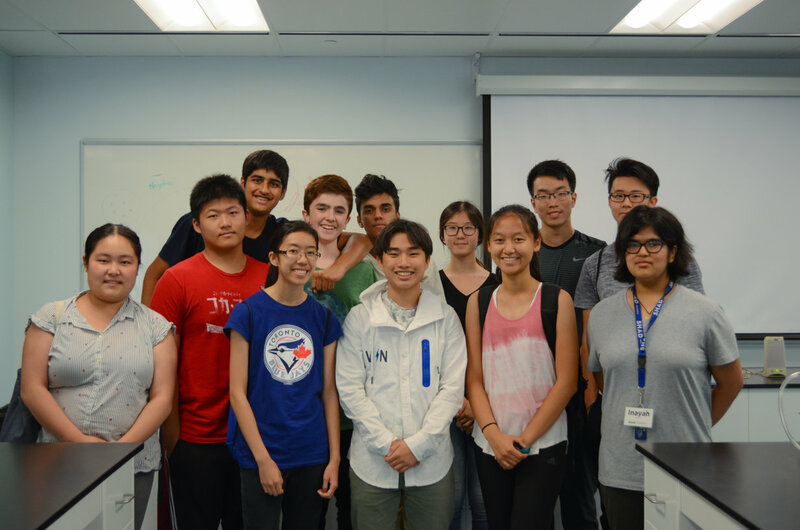 For the past few years, iGEM Waterloo has been asked to host one of these workshops for a group of 12 SHADs attending SHAD Waterloo. We have been eager to share our knowledge and passion with these young leaders! Looking at results of heat shock transformation and bacteria art, discussing the science behind it! 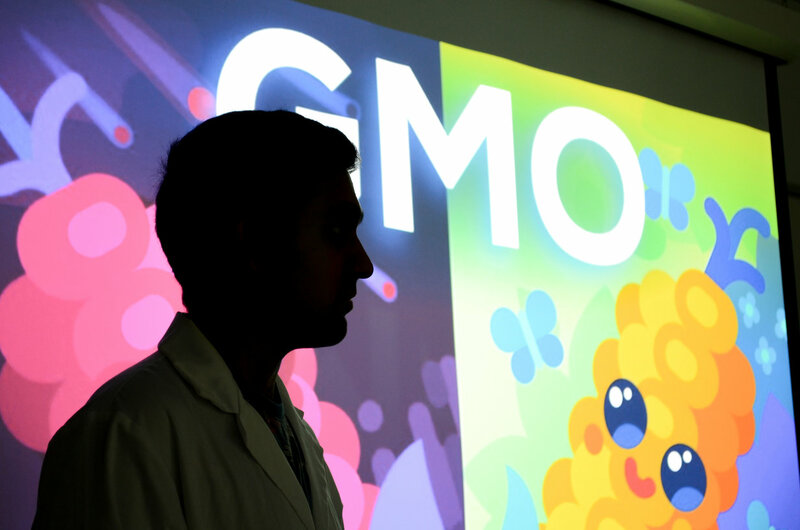 As of today, synthetic biology remains a new, sometimes misconstrued field. 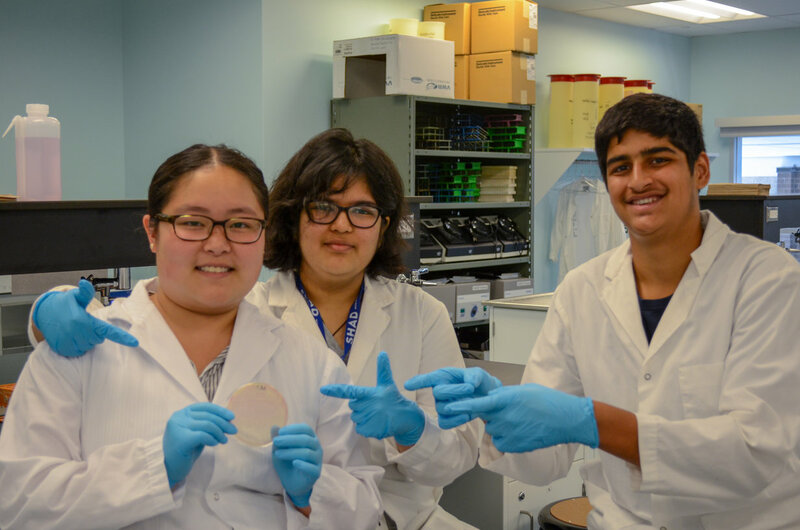 To try and educate the public about the wonders of synthetic biology, we partnered up with SHAD Waterloo, a program that exposes high school students to a variety of workshops and projects at Canadian universities over the summer. 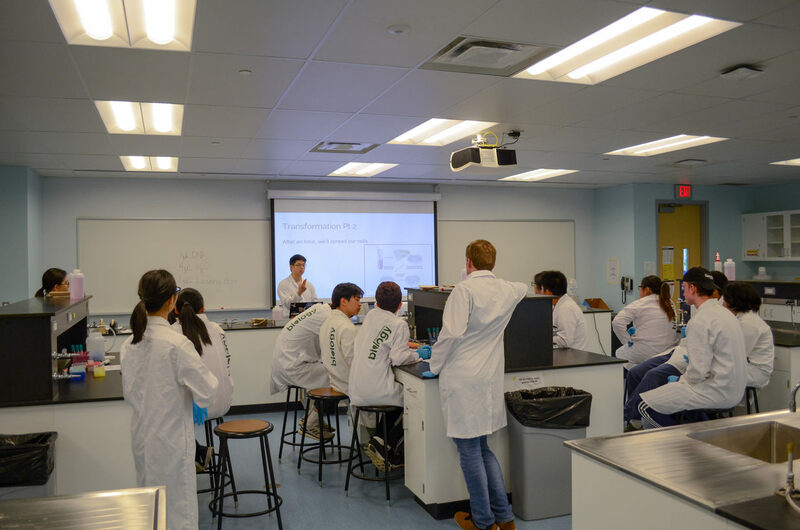 For our three-day iGEM workshop, we taught the students about the pros and cons of synthetic biology, opened their eyes up to the possibility of going into this field in the future and, of course, taught them about iGEM and the amazing things that we do! 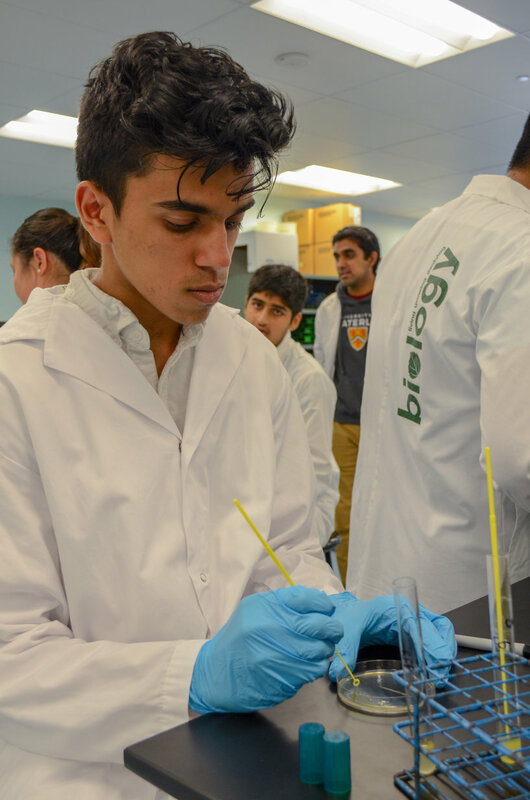 This workshop introduced twelve SHAD students to a blend of hands-on and presentation-based material revolving around synthetic biology. Student learning was quantified using anonymously-associated surveys, completed at the beginning and end of the entire iGEM workshop. We asked students how comfortable they would be when explaining a variety of concepts or procedures, such as DNA, Aseptic Technique, and Heat Shock, to another person. The before and after graphs below display a marked improvement in comfort. Presentations also included discussion about ethical dilemmas - some of which have been hotly debated in this field. 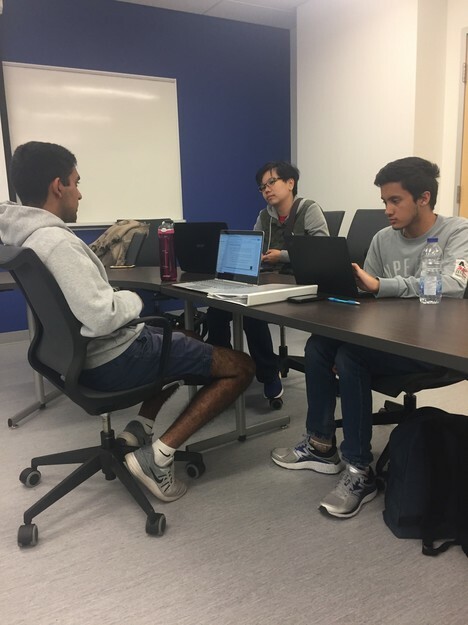 This is our fifth year partnering with SHAD Waterloo, and we have also gathered additional student feedback on the structure and content of this workshop. We hope to keep improving and developing this workshop in the future! 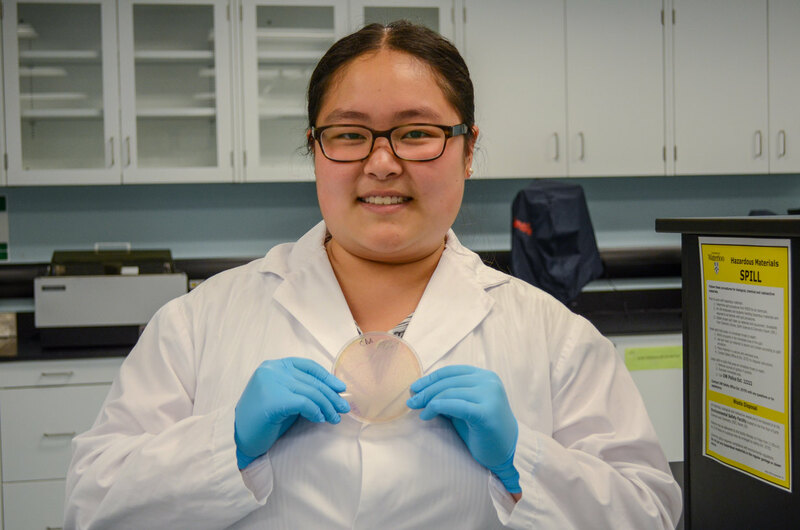 Finally, we asked students how comfortable they would be using a product or technology that was made with or developed using synthetic biology. Our results showed an increase in comfort across the board, seen in a graph below. 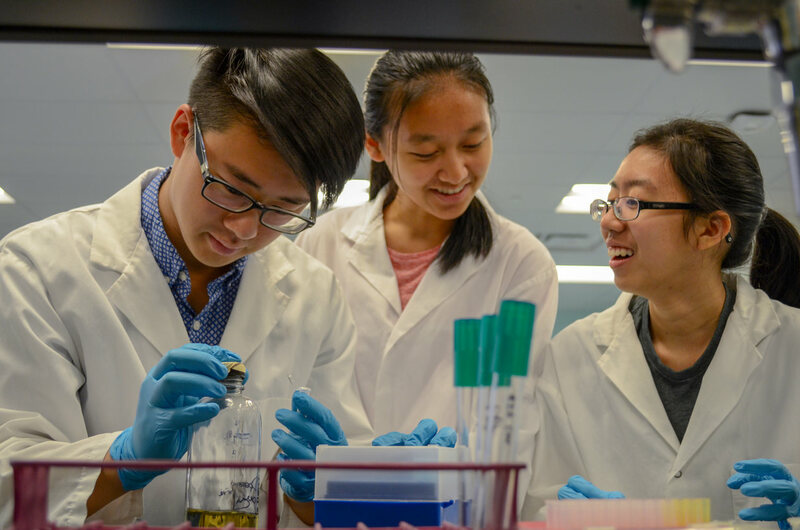 Waterloo iGEM is happy to report that a successful, eye-opening, and educational experience was provided to students in collaboration with SHAD Waterloo! The Literacy Workshop was developed with the premise of improving scientific literacy required for work in research. 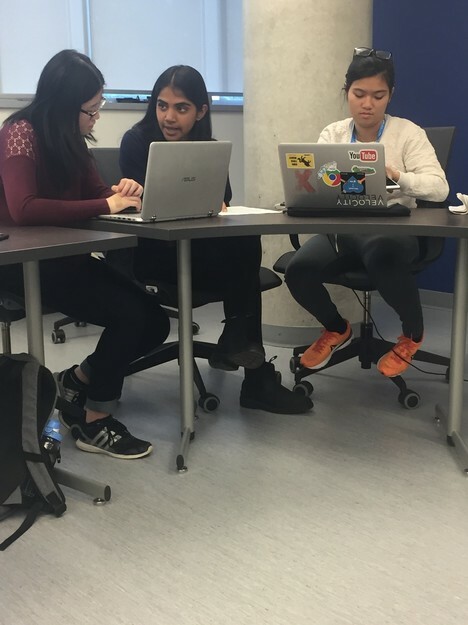 This workshop was an opportunity for University of Waterloo undergraduate students to better understand how to read through and dissect academic literature. 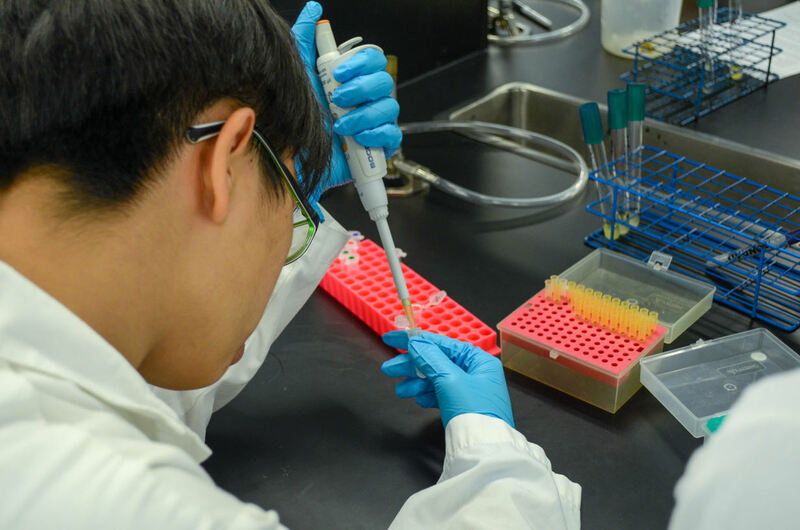 iGEM project development, experimental protocol, and project applications are all based on scientific literature and accurate comprehension of academic writing. This workshop was a platform to teach the undergraduate community about knowledge translation and a way to acquire the technical skills utilized by iGEM team members in relation to effective and efficient research. The target demographic was first year students with minimal knowledge or exposure to reading scientific literature. This cohort was specifically selected given the numerous amount of technical labs involving report writing and reading that are mandatory in first year. A sample paper was selected to conduct group reading and activities for the workshop. The paper addressed topics that would be covered in first year cellular biology, making the concepts relevant to skill and knowledge level of the first year students. How to use Search Databases like Pubmed and Google Scholar? How to use keywords to find what you are looking for? The Policy and Human Practices team prepared a comprehensive presentation breaking down the key features found within the various components of an academic paper. Explanations, examples, and visual tools were utilized to communicate information. Executive members were responsible for thorough understanding and digestion of each component of the paper (Introduction, Methods, Results, Discussion) in order to lead discussion and present key findings. Upon completion of academic paper discussion within working groups, participants shared their findings and understanding of the concepts. The end of the workshop encompassed a walk-through on how to utilize University of Waterloo Library resources to access search databases and papers. Feedback and self-improvement are important measures in ensuring the goals of any iGEM Policy and Practices team are being met. As such, when presented with the opportunity to put on a literacy workshop for students at the University of Waterloo, the Policy and Practices team was sure to collect as much data as it could via an exit survey and individual feedback from the attendees of the workshop. Social media outreach was a vital contributor to the workshop’s success, with nearly 40% of all attendees regarding social media as their primary method for learning about the event. In-class outreach was also a large contributor in spreading information about the event, with nearly 60% of all attendees having reported learning about the event in class. Feedback regarding the most useful components of the workshop was quite uniform, with 70% of attendees finding the reading and discussion of the paper to be the most effective part of the workshop. The other 30% of attendees found the explanation of the papers by the workshop leads to be the most useful part of the workshop. Overall, 100% of attendees reported the workshop to be applicable to personal and/or school related projects, in addition to finding the subjects and concepts outlined in the workshop to be clear and well-presented. Moving forward, the Policy and Practices team intends to focus on the discussion aspects of the paper review and presenting in a way that promotes further conversation rather than presenting the content in standard Q & A form. A potential idea for future workshops includes allowing attendees to find a paper of their own to review, and simply facilitating the dissection of said paper, rather than explaining a preselected paper. This not only allows attendees to build on critical thinking skills, but also allows for a chance to apply foundational knowledge taught throughout the workshop with regards to a topic of interest to the attendees. 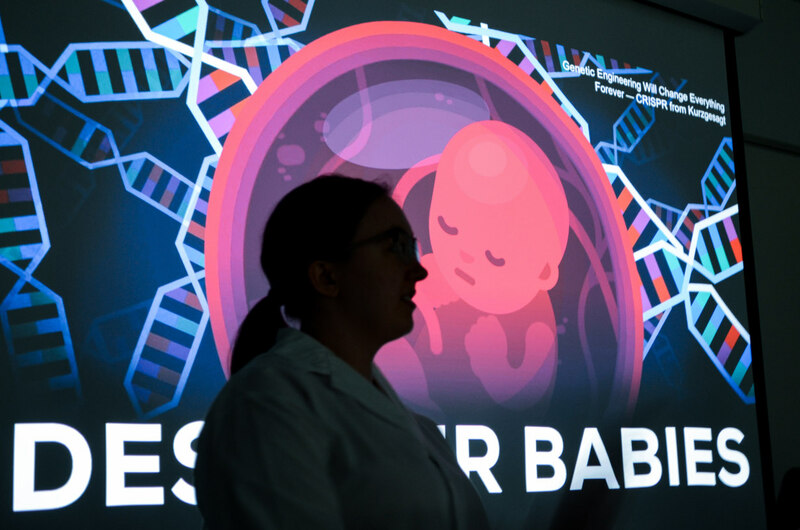 Below, we’ve included three educational videos which we’ve shared with audiences of all ages to help the public learn more about synthetic biology!